If only I could drop $800-900 on a single chair... 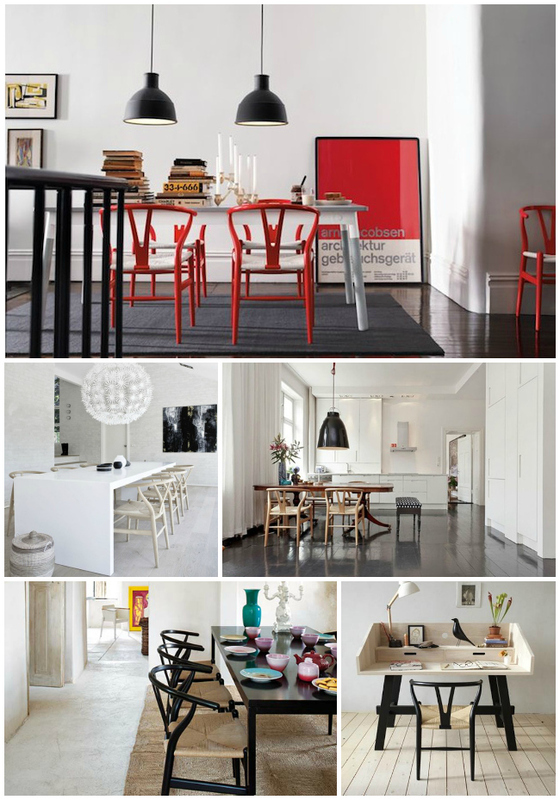 These Wegner Wishbone Chairs come in a multitude of colours and really work in almost any space. They mix both swedish design and the down-to-earth, homeyness of the wicker - so they really are appropriate in both upscale design and relaxed living spaces (see the Portugese home on the bottom left). I'm especially a fan of the mint green chair and the lacquered beech one as well. Check these bad boys out here! living room inspiration board & submission info!